Us Organisers are always talking about ‘zones’. But what exactly does this mean and why are they helpful? I help my clients create different organised zones throughout their home to make it easier to retrieve items and put them away. Zones are created when we place items next or near to where they will be used. When we are establishing new homes for our things, it’s worth keeping in mind how we are going to use each item next time we come to need it. This will help determine it’s final home. We set things up for their next use. 1. Keep an eye on your current habits and those of your family. As I said, a zone comes about when you place items near where they are used. But you have to determine where they are used first so you can organise well. So watch how you use your things. Do you have an area where you tend to always drop things? Or where items accumulate. 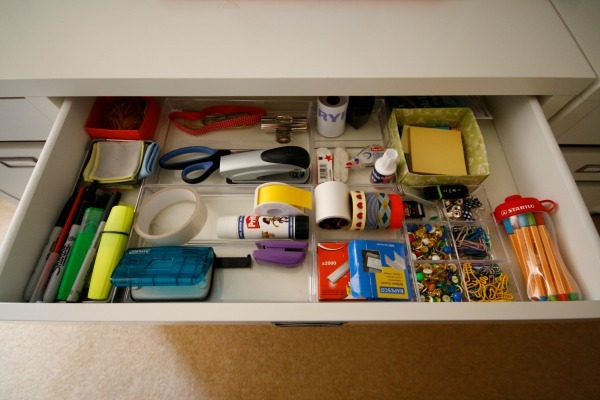 Then stick with that…but just put some good organisation or storage in that spot! 2. Bring all items together in one spot. In order to choose a home for a zone, you need to know exactly how many items make up this zone. You can’t make a plan if you don’t know what you own. 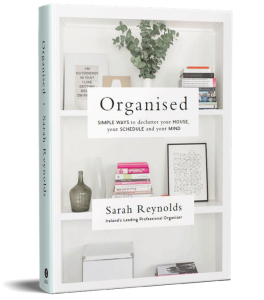 Below I go through three top zones every home needs to set up & I can guarantee you will feel a lot more organised having these ready for use! Us Irish love our stationary! We have a ton of it. But it’s scattered everywhere throughout the house and we just can’t find the scissors or sellotape when we come to need it. So you need to create a zone. If you have a home office, you might want to put the majority of your stationary in there. However, whether you have a home office or not, I generally find you need small stationary zones in the kitchen too and perhaps one in each of your child’s bedroom (especially if they are of school going ages). Now most of us already have this zone set up – it’s usually under the sink. So without knowing it you’ve probably already set up a zone – your cleaning supplies are near where you use them in the kitchen (around the sink, washing machine etc). However, sometimes, under the sink can be a large space with no clear definition and generally we just dump things on top of each other. 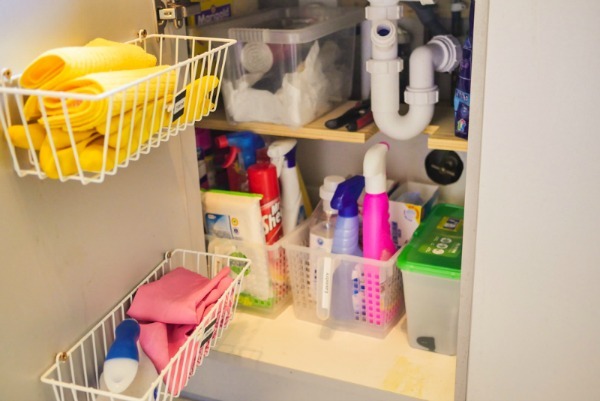 But then, as well as products under the sink, you might have a utility room too with some laundry products out there as well. So keeping track of what we have and what we might need can be difficult. Bring all the products together. Separate them out according to their job – laundry/ dusting/ bathroom etc. And then place them where you will use them. Use storage containers to hold the products together in their new zone. And for under the sink, why not add some shelving so as to maximise the amount of useful space under there. Every.single.home needs to sort this zone out. 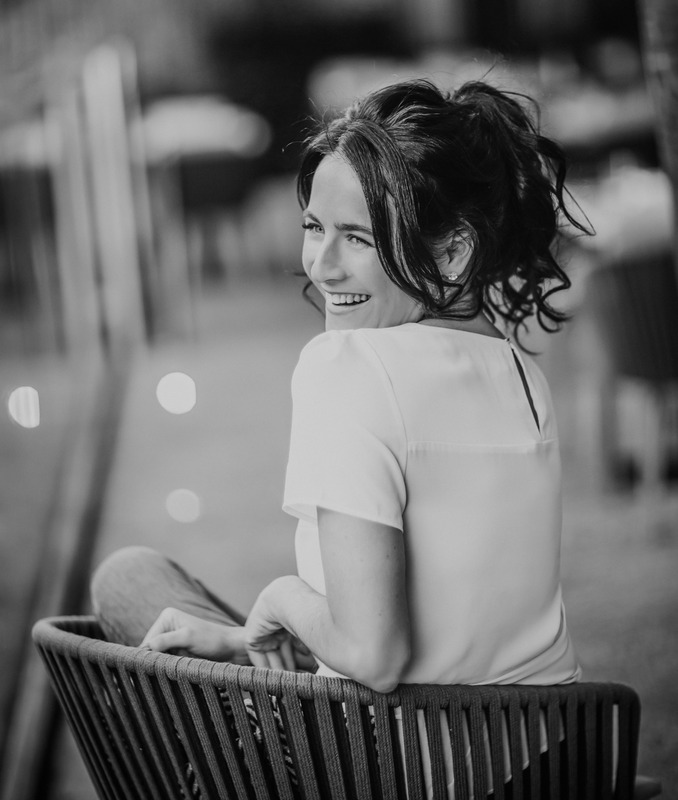 From passports and birth certs, to manuals and school information, there is a lot of paperwork in our lives, and keeping it in shape will really help our stress levels. 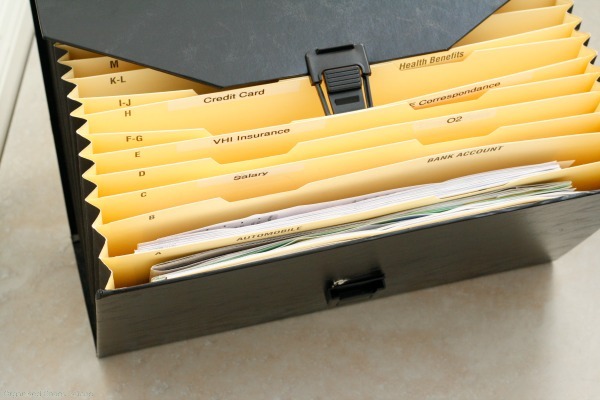 I think having a folder or expanding file near the kitchen is a good spot for a Household Administration zone. Place papers that you need regularly and quick access to and create a little Home Management folder for yourself.